As much as we all want relationship happiness and a long lasting relationship, relationships don’t come with a lifetime guarantee. Anyone who has been in a failed relationship will agree that finding an “ideal partner” can be a long process, very different from our unrealistic expectations fed by romantic songs, books, movies and TV shows. The truth is: not everyone can be “perfect” all of the time. We all have flaws and weaknesses. We are going to disappoint our partners at some time or another. But the real questions here are: how much do you see your partner as a friend? 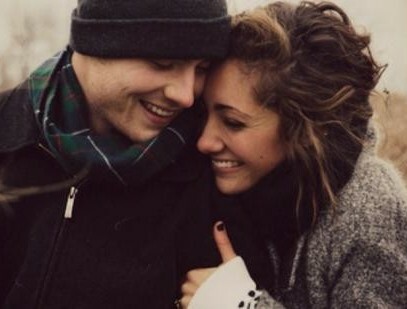 How do you know if they’re the person with whom you could be happy for all of your life? According to Dr. John Gottman, author of The Seven Principles for Making Marriage Work, creating a lasting marriage is surprisingly simple. Gottman says, “Happily married couples aren’t smarter, richer, or more psychologically astute than others. But in their day-to-day lives, they have hit upon a dynamic that keeps their negative thoughts and feelings about each other from overwhelming their positive ones.” This is what makes most relationships last and what separates happily married couples from the multitude of couples who stay married just for the sake of their mortgage or kids. So, what are the actions and values in a couple that are good predictors of relationship happiness? Read on to find out. Are you someone who can easily say “thank you” to your partner? Does your partner do the little things that matter to you? How frequently you express gratitude can have a powerful impact on your relationship. According to a recent study published in the journal Personal Relationships, the secret to having a better relationship is to show gratitude. Research conducted at University of Georgia used a telephone survey where 468 married couples were asked about their communication, finances, and how they express gratitude with their spouses. The study emphasizes how gratitude is the most consistent predictor of relationship quality. Couples who express gratitude more often were less affected by common relationship stressors such as miscommunication, financial issues, and in-law problems. In any relationship, there are bound to be fights and misunderstandings. This is normal when two people live together. The couple who knows how to apologize effectively has the best chance of keeping their relationship intact. Admitting mistakes is not a sign of loss; in fact, the ability to do so, and to negotiate plus compromise with the other is a proof of love. According to Bill Farr, author of The Power of Personality Types in Love and Relationships, a couple’s ability to compromise and give up their pride defines their relationship. If both partners are able to see that they’re not always right and become more accepting of each other’s mistakes, their relationship will prosper. Sure, romance and passion create memorable moments, but it is negotiation, compromise and respect that actually keeps the two of you together. It’s the small, daily interactions which make or break relationships, not the grand romantic gestures. The phrase, “It’s not what you say, but how you say it” might seem clichéd when we talk about relationship issues, but when it comes to communication, the tone of your voice and your body language hold more weight than the words you use when addressing your partner in an argument or a discussion. Experts believe that how you talk and discuss problems with your partner has important implications on the health of your relationship. It’s not just the words you use to talk about problems with your partner that count, how you deliver them is also important. This underlying notion has helped a group of researchers create a new computer algorithm that can predict an outcome of marriage based only on the tone of voice couples use when speaking to each other. The algorithm has a remarkable 79% accuracy and did a better job predicting relationship success compared to relationship experts. The algorithm can assess the couple’s speech by breaking the recordings into acoustic features and using speech processing techniques, such as looking at the pitch intensity and warbles in voice that could indicate emotions. Couples who often spend leisure time with each other have the best relationships. If you’re someone who’s happiest when with your partner, that is a good sign of relationship happiness. In a study involving 250 married couples, results found that the best predictor of marital satisfaction was the amount of time spent alone with the spouse. Wives who spend most of their time with their husbands were the happiest. Happier couples are people who are determined to spend time together despite their varying interests in hobbies or constraints like kids and work. It’s not just the amount of time you spend together, but also the quality. How long does it take to get your partner’s attention when you call them? If most of the time they respond to you immediately, it’s a good sign. If, however, they often seem uninterested and require you to repeat or say something outstanding just to make them interested – watch out! A partner who doesn’t value and give attention to their partner can cause the relationship to slowly go down the drain. If we don’t take part and give value to our relationships, we might lose important life experiences that could create a happier and more fulfilling marriage. Couples who have a real connection know how to bid for each other’s attention. They give each other lots of attention with little hesitation, without waiting hours or days for the other to respond. In the first stage of couple relationships, most of us (if not all) see our partners in their best light. We are often “love-struck”, filled with romance and lust. However, as time goes by, we will see our partner’s imperfections. Passion will diminish over time, because it’s inevitable that our partner fails to keep up with our expectations. There are predictable stages in all relationships. The more we know about these stages, the easier it is to accept and work with the stage we’re in. A happy relationship is not about being with the perfect partner – it is about doing your best to accept their vulnerabilities and continue to practice being the best person you can be. When we accept that all people, including ourselves, have vulnerabilities, it’s easier to accept our partner’s ones as well. Loving your partner becomes about creating partnership and accepting differences. A note of warning, exceptions to these suggestions are: one-sided anger/abuse, addictions or ongoing affairs. Good relationships are made over time, not ready-made to order. 3) attending a two day couples intensive, where you get 16 hours of couples coaching to quickly boost your relationship happiness. You deserve the best if you’re planning to invest time and money in your relationship. If you’re not ready to book an appointment, call me on (0421) 961 687 to book a FREE 10 minute phone consultation to discuss how I may be able to assist you.